Firearm report by county. Image courtesy State office of the Attorney General. Click to view in greater detail. Fire permit applications in Hawaii were at an all-time record high in 2011, according to an annual report released by the state Attorney General. A total of 15,375 private firearm permit applications were processed statewide. That translates to a 20.1% increase from the record set the previous year of 12,801 applications processed in 2010. 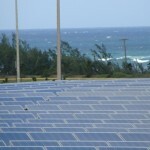 According to the report, 94% of the applications processed in 2011 were approved and resulted in issued permits; 4.5% were approved but subsequently voided after the applicants failed to return for their permits within a specified time period; and 1.5% were rejected due to one or more disqualifying factors. The 14,460 permits issued statewide in 2011 cover a record high total of 36,804 firearms registered in Hawai’i, marking a 17.2% increase from 2010. 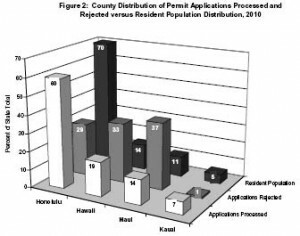 Here on Maui, the County processed 18% more applications and rejected 100% more applications than expected. In Maui County, there were a total of 1,965 Applications Processed; 1,842 Applications Approved/Permits Issued; 73 Applications Approved/Permits Voided; 50 Applications Rejected; 2.5% Rejection Rate; 4,569 Firearms Registered; and 2,108 Firearms Imported. 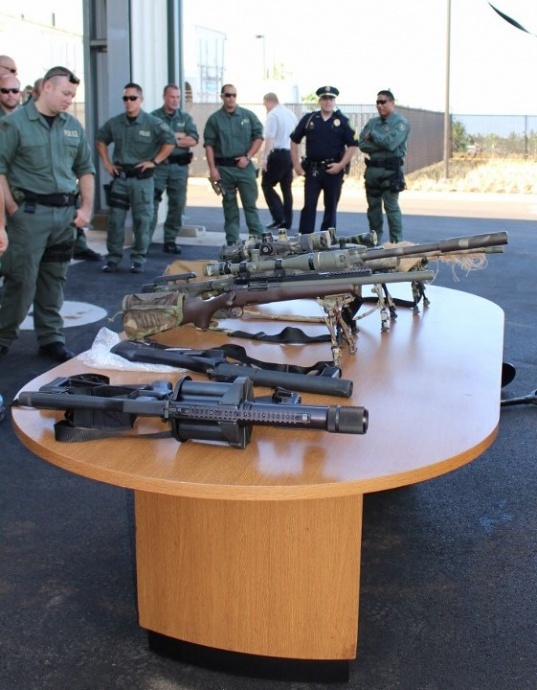 During 2011, the City & County of Honolulu Police Department firearm registration section confiscated seven prohibited firearms, and the Maui County Police Department confiscated one. All eight firearms were described as “assault pistols” as defined and prohibited by State law.